"At one stage we were down about 17 players … now it's 14"
Longford manager Padraic Davis. ©INPHO/Laszlo Geczo. 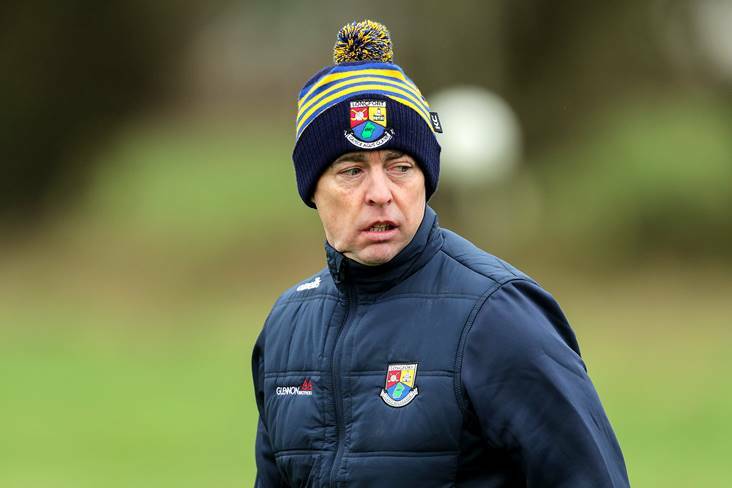 Longford manager Padraic Davis has revealed the extent to which the odds have been stacked against his team. Shorn of their Mullinalaghta contingent and with a number of other key men injured, Longford have defied the odds to soar to the top of Division Three, with five points accumulated so far from a possible six. “I suppose in terms of numbers it couldn’t have been any more difficult,” their manager told The Irish Times. “At one stage we were down about 17 players. Now it’s 14 players inclusive of the Mullinalaghta lads, but it’s now become a story about who we do have rather than who we don’t have. Those lads deserve great credit for that. They’ve given everything, and I couldn’t ask for more.